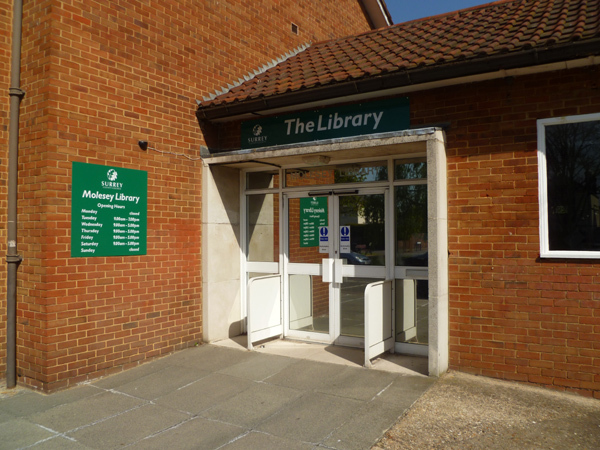 Molesey Conservative Residents: Good news: Molesey Library is turning the corner! THREE years ago Library was one of 11 Surrey libraries threatened with closure by the county council due to low footfall. It was granted a reprieve, mostly due to the distance between the next available branches - either the big library in Walton or Dittons library - and happily the whole misguided idea of closing and relaunching libraries as community run enterprises was quietly, ahem, shelved. One good thing that came out of the episode however, was that the Molesey community was reminded of how much it - and we - all value our library and how much the poorer we would be if we lost it. This is a fantastic local resource providing books free of charge to expand our learning and bring us enjoyment. I am a regular library goer, although admittedly these days most of the books I borrow are children's stories that I read to my two boys at bedtime. When I get to read a book for myself, which isn't as often as I would like, I am reminded what a simple pleasure this is. More people should make time for it. A lot has been done to improve Molesey Library. Surrey has weeded out less popular stock and improved the floorplan so its now more spacious and inviting. Innovations like the ‘Molesey Library recommends’ book stand, and children's rhyme time session, or computer classes for the elderly have all started to pay off. The Friends of Molesey Library, which was formed to try to preserve our local library, has raised funds for purchases like signage and furniture, it held a Love Your Library Day in summer 2013 to bring people in and holds regular Friday coffee and cake mornings that are very popular with visitors. Liam Dixon, the buyer for the Surrey Library Service (pictured left with Pauline Morozgalska of the Friends of Molesey Library), was the guest speaker at the Friends of Molesey Library’s annual general in January. He said on that occasion that 1,448 more books were issued in 2013 than the previous year, which was a 2.5% growth. This was on the back of 10% more visitors in December. In January this year 723 more books were issued than the same time last year, and this is significant because issues are the yard stick with which libraries' success or failure is measured. Molesey Conservatives support our local library and want it to prosper. We will give political support where and whenever necessary but all of us have to do our bit too by continuing to use the library and to take out books and in doing so we will be enriching our own experiences but also helping this valuable local service to remain in our community.